Get the ideal introduction to history-packed, seaside Ravenna, famed for its mosaics and well-preserved Byzantine remains. 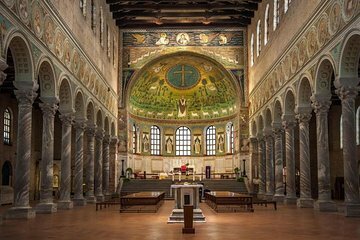 This guided walking tour includes admission tickets to the Basilica di San Francesco, plus stops at other top attractions, including the fresco-filled Mausoleum of Galla Placidia and two cathedrals. Tours are capped at fifteen people, with audio headsets available for extra mobility.